Twenty years have passed since mountain bike coach Steve Neal began his career, and he is still doing what he loves to do: helping cyclists achieve their dreams. Be it elite athletes aiming for championships, masters seeking to push their limits, or weekend warriors wanting to learn basic skills, Neal is ready to share his knowledge of a sport that he deeply loves. "I have a real passion for cycling, specifically mountain biking, and in order to advance the sport we need to encourage more athletes," explains Neal. "As the sport grows there will be a need for new coaches. I certainly am not ready to pass the baton, as it were, but I do feel proud that so many of my athletes have stayed in cycling as they have gotten older." "He has had a tremendous impact on plenty of athletes and I don't believe he gets proper credit for that," states elite racer Cameron Jette, who has been training with Neal since 2003. "You can see elements of his coaching in those athletes, in how they race, in how they train, and for some of them how they coach." 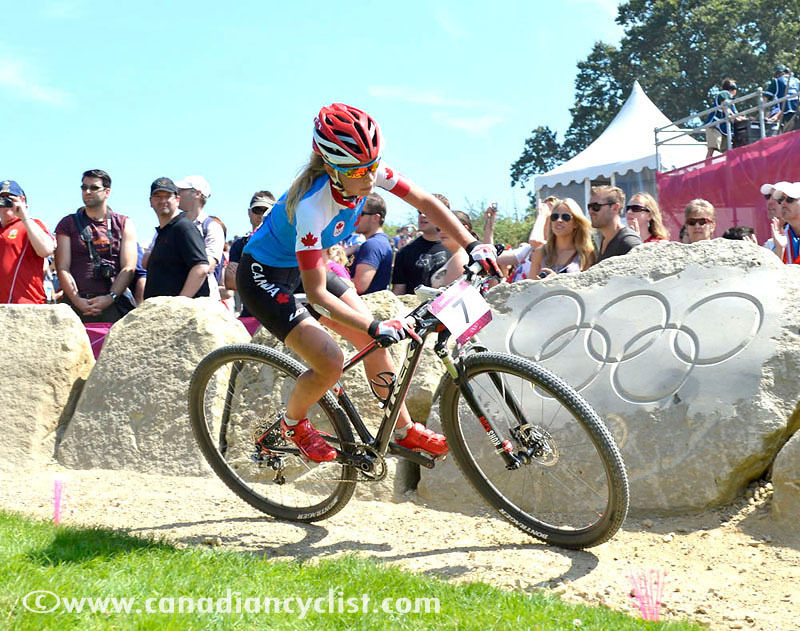 The list of athletes who have worked with Neal includes some of Canada's top riders, both past and present, such as Emily Batty, Eric Batty, Mark Batty, Mical Dyck, Jesse Jakomait, Michael Mitchnick and Catherine Vipond, to name a few. Furthermore, the quartet of Mike Garrigan, Andrew Watson, Adam Morka and Peter Glassford are not only still racing, they are also following in Neal's coaching footsteps. Born and raised in Orangeville, Ontario, where he still makes his home, Neal cut his sporting teeth on hockey and lacrosse, with motocross thrown in for good measure. As a teenager, in order to improve his fitness, he took up cross-country skiing and triathlon, and began to transition away from team sports and toward endurance athletics. Given his motorcycle background, it was no surprise that Neal eventually discovered mountain biking. Initially it was riding with friends and engaging in impromptu races, but before long he was signing up for sanctioned events. "I wasn't really built for the sport or have a background other than being a good technical rider. I liked the training aspect and just tried to do my best every time I raced my bike." Following high school, Neal attended college, studying electrical engineering technology. He worked part-time as a cross-country ski instructor, first at Horseshoe Valley and later at Hardwood Hills. The experience proved seminal, as he discovered both that he enjoyed teaching people, and that he was good at it. Upon graduation, a hoped-for position at Ontario Hydro failed to materialize due to organizational cutbacks, so he stayed on at Hardwood, supplementing his income with work at a bike shop. His love for mountain biking, combined with a tenacious desire, saw Neal progress to the pro-elite category, with his proudest moment coming in 1992 when he finished 11th at the national championships in Montebello, Québec. 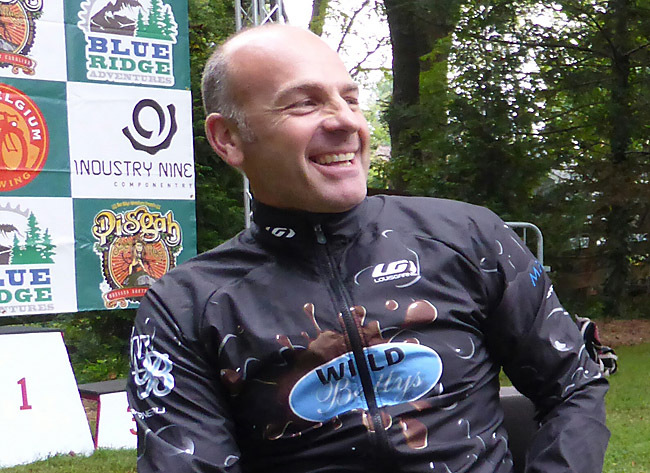 Neal's career as a mountain bike coach began in 1993 when his friend and fellow elite racer Paul Cobham approached him for advice. "Paul was really talented but just rode his bike to and from work for training. I helped with a training plan one summer and he started to get some top national-level results. Once he started to do well a few others approached me to see if I would coach them." "Those early years were amazing. It was so fun to be always learning and watching people improve. I think watching athletes go from just beginning the sport to eventually being at the top of the sport years later was wonderfully rewarding. I enjoyed helping them perform to the best of their ability. Even to this day I still get such a good feeling inside working with my athletes." "Over the years, I have always observed Steve enjoying the 'journey' of his athletes achieving success," says fellow coach Kevin Simms. "You will not find Steve seeking the limelight. He seems to really enjoy and embrace the opportunity to create the perfect recipe that is needed for his athletes to achieve success." Wanting to do his best for his new charges, Neal began to research the science of coaching. One of his first connections was with Juerg Feldmann of FaCT Canada, whom he called out of the blue. "I don't think I have met someone since I started who shared so much information and advice as Juerg. Without him I wouldn't be the coach I am today." With Feldmann guiding him, Neal developed a coaching philosophy that he still follows today. "I like to have athletes train as easy as possible as long as they are still improving. Once they stop improving I try to apply different stresses to then continue improving. There is something to be said for keeping things simple, getting really good at executing these simple things. It is amazing how good someone can become without getting too fancy." In practical terms, Neal's athletes focus on endurance and tempo training, increasing volume at low intensities while building a strong aerobic base. When improvement ceases, race-specific intensity is applied while maintaining base fitness. Patience, discipline and constant monitoring play an important role. According to Neal, "the secret is trying to figure out how much stress an athlete can absorb and continue to improve." In addition to Feldmann, a second major influence on Neal's coaching career was Glenn Meeuwisse, who was general manager at Hardwood Hills in the late 1990's. "Steve was doing a lot of really neat stuff," explains Meeuwisse. "He was one of the first guys to do lactate testing and to do blood sugar testing. I thought that was really neat that he was thinking outside the box and that he had some creativity in the things he was trying. He was always questioning, which is good. Not just following the same old thing." Meeuwisse was sufficiently impressed that in 1999 he hired Neal to coach the development team at the new Hardwood Hills National Development Centre. "I was working with the Canadian Cycling Association and Hardwood to make this national development centre," recalls Meeuwisse. "He was coaching, but he was (also) working full-time. I said 'How about making it a full-time gig and see whether you can do this? You can make this coaching thing a job.'" Neal accepted the offer, going on to become the Centre's head coach, as well as serving as the Ontario mountain bike coach from 2001 to 2006. During that time, Neal had a profound effect on a number of the young athletes he was coaching. Adam Morka was a teenager when he joined the program at Hardwood. "He was coaching me at a very important time in my life. If you look at the development stage of athletes, the important years are (13-18). That's where you get a lot of outside influences that shape you as an athlete. Steve was very important in that aspect and that definitely shaped me." Current elite national champion Emily Batty is but one of four Batty siblings to be coached by Neal. "Steve's an amazing guy. He's so passionate about what he does. He set the ground roots for the people we are today. He's so motivating and he makes a difference in a lot of athletes' lives." In addition to his trendsetting coaching methods, Neal was sensitive to general changes in the sport as well. 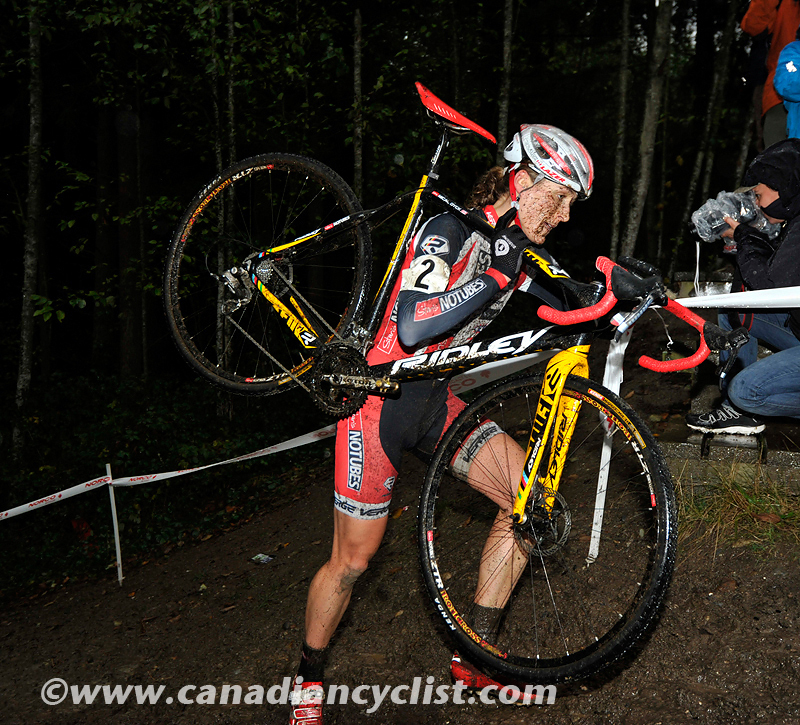 During his time as provincial coach, he noticed that mountain bike races in Switzerland were significantly shorter than the 2:00 to 2:30 events taking place in Ontario. "He said we're racing them way too long," remembers Meeuwisse, who was on the Ontario Cycling Association's High Performance committee at the time. "They're [the Europeans] racing harder for shorter periods, and if we want to compete against these guys we need to do those same things." A second area in which Neal foresaw the trend was position on the bike. "I really looked at bike fit and did research throughout different systems in North America, and found that a certain position was preferable with the athletes I was coaching and fitting at the time. Other athletes said it was silly, but years later everyone is setting their bikes up similar to this position." Using the WobbleNaught system, Neal incorporates functional ability with pedal stroke analysis, attempting to maximize body movement before fitting the bike to the rider. Not only has Neal coached up-and-coming cyclists, he has also mentored aspiring coaches, such as the aforementioned Kevin Simms. In 2001, Simms was hired as an assistant coach at Hardwood, charged with guiding a group of young athletes while learning first-hand from Neal. "Steve was way ahead of his time," reflects Simms. "He was working with athletes on training philosophies that were unique. He would associate and work with other coaches that were willing to try something outside of the box or learn something new from sources of past research. Back then, the idea of power as a tool for training was in its infancy and Steve worked with Hunter Allen on it well before it became mainstream." "Steve was my mentor at that time of my life and still is today. Our relationship was successful largely because the lessons I learned from Steve were experiential. He didn't just recite what I should prescribe to an athlete; he forced me to learn about athletes I was coaching and decide for myself what to prescribe for success. Following athlete performances, Steve encouraged me to evaluate whether my plan had worked to my level of satisfaction. Often the poor performances of athletes generated more discussion and learning as we debriefed together." "I remember wanting him to simply 'copy' his workout library into my Training Peaks account, thinking that would make me create as good an athlete as he had created. Fortunately for me, Steve never did click the 'paste' button. I developed my own coaching philosophy, my own library of workouts and my own confidence when working with athletes." 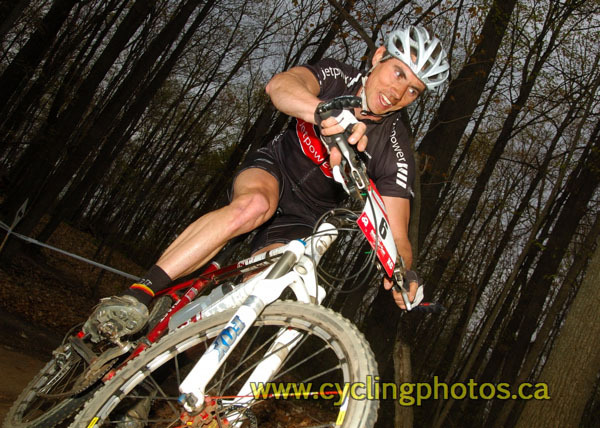 Another protégé is elite mountain bike racer Peter Glassford, who worked at Neal's side for a number of years, gaining experience and learning the business of coaching. What he observed still resonates. "Steve is very good at a lot of things, but that one-on-one experience is what I've always looked up to him for," reveals Glassford. "He is phenomenal at that one-on-one interaction. How do you verbalize someone who has that intuition? It's hard to quantify exactly what it is. The big thing that he is able to do is when he's there one-on-one, he's able to really nail down that one thing you need to do. He's able to pick that thing, but also decide. Sometimes that's the biggest thing, deciding and then convincing the athlete that that's what we're doing today and getting them to be fully committed to it. That ability to inspire the athlete, to give them confidence to do it, despite what anyone else does." From the beginning of his coaching days Neal embraced technology, but hasn't allowed it to usurp the need for subjective observations. "I do like testing to find how the athletes are progressing, but this testing can be done in various ways depending on what you are testing for and what equipment is available to the coach. I like to have athletes start with a power meter whenever possible so there isn't too much overtraining. I find that I can give them very achievable workouts so they feel success in a certain style of workout, then I try to apply more stress as long as the athlete continues to improve." "The ultimate goal is to be able to work by feeling to complete workouts since when we race we need to do so by feeling. I think that science can help hold back a person who tends to over train and it can help push an athlete who tends to under train. For both, it can teach them what a good workout or performance feels like in their muscles, breathing and mind." "I think Steve's attention to detail and his scientific approach is still the big difference," says pro cyclist Andrew Watson. "Steve is right at home looking at the numbers: power, heart rate, lactate, VO2, lap times. Which takes a pretty disciplined athlete to keep up their side of monitoring and reporting that stuff. Some coaches are more down to just getting out there and putting down some good hard miles and pushing their athletes with good old-fashioned hard work. Both are good and have their place, but with Steve there was always a reason WHY we were riding hard. It wasn't just because we should." By 2007, Neal had stepped down from his coaching duties at Hardwood and the OCA, and had more than enough personal clients to keep him busy. As fate would have it, an injury to his calf and hamstring led him in a new direction. While searching the Internet for strength exercises to improve muscle imbalances, he came upon CrossFit, and tried some of the workouts. "As I got stronger, I started to feel much better in life, as well as on the bike. I was racing surprisingly well with just CrossFit added to my personal routine and with limited on-the-bike training time. I knew this could be beneficial for some of my athletes." Neal went all-in, becoming a certified CrossFit trainer and opening his own facility. "It's about building a strong, well-rounded general base of fitness. Endurance athletes often skip this overall type of fitness and focus too soon on just cycling." Masters racer Rick Landry is an example of how Neal utilizes a range of skills to help clients. "Steve rarely prescribes workouts more than a few days in advance as he is constantly adjusting workouts based on how I feel, how I have responded to prior workouts, or for any other unplanned event. I strongly believe that this constant feedback and adjustment is key to optimizing my training to fit me and my life." "Steve also runs a CrossFit gym and uses his strength training knowledge to design strength programs tailored to my specific areas of muscular weakness. My lower back no longer bothers me as much as it did a few years ago. 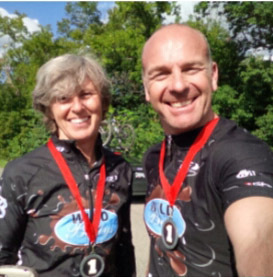 With Steve's coaching I've become very competitive in the Master Expert [50-54 years] category on the Ontario Cup XC series and am often in contention for a podium spot. I couldn't ask for better results." Neal's excitement for coaching has remained strong over the years. Melinda Davie is the founder of Wild Bettys, a women's mountain bike group. "Steve becomes devoted to his athletes and their goals when he agrees to coach them. He approaches each athlete as if they were his only project, with realism in his assessment of chances of reaching their goals and the expectation that they will work as hard as they can to do their best." For Neal, it's all quite simple. "I really like to help people. It is very rewarding to be the person who helps an athlete. If they can achieve their day-to-day goals and reach their highest potential then I feel like I have done my job well."